Delta is Markant's most versatile system. 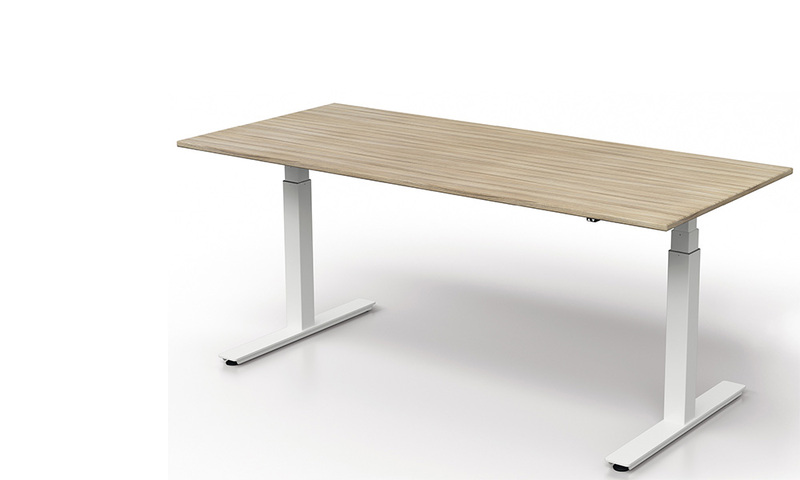 It happily accommodates traditional desks, large and small meeting area tables, L-shaped desks while having no difficulty with circular, oblong or specialty models. All this is accomplished using a click mechanism which has been specifically designed for Delta and retaining the classic clean lines by using a minimal number of components. 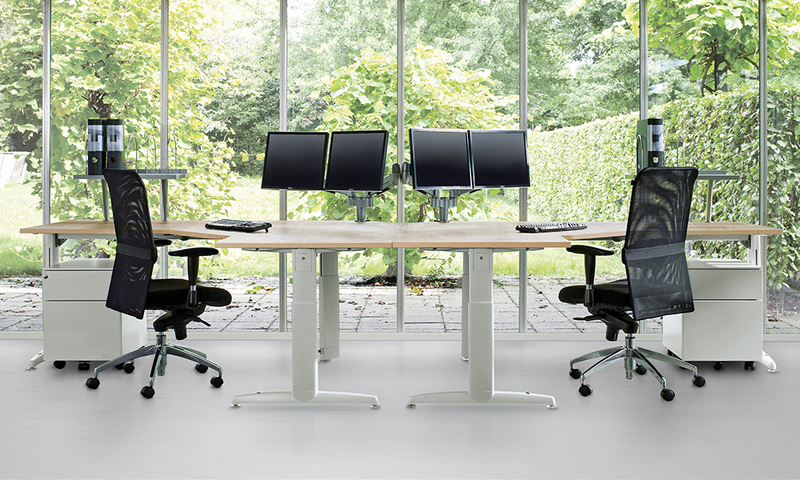 Available as a fixed height desk or height-adjustable. Crank, electric or click mechanism for height-adjustable. 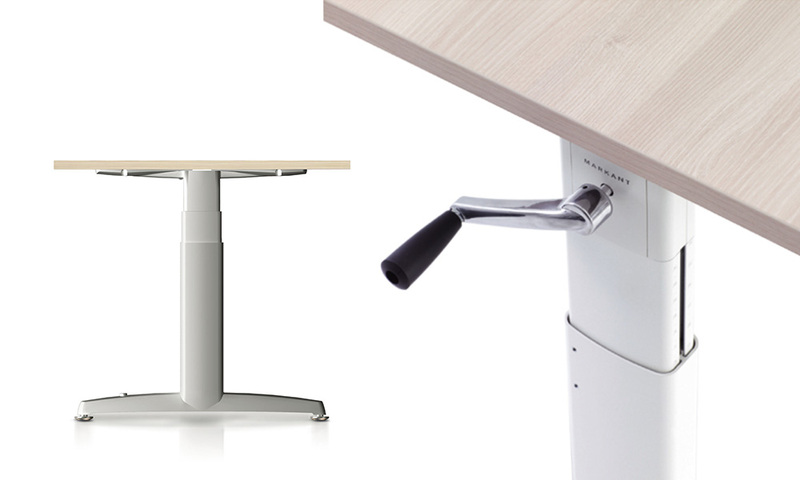 The Delta system comes with the option of using a C or T leg depending on layout. 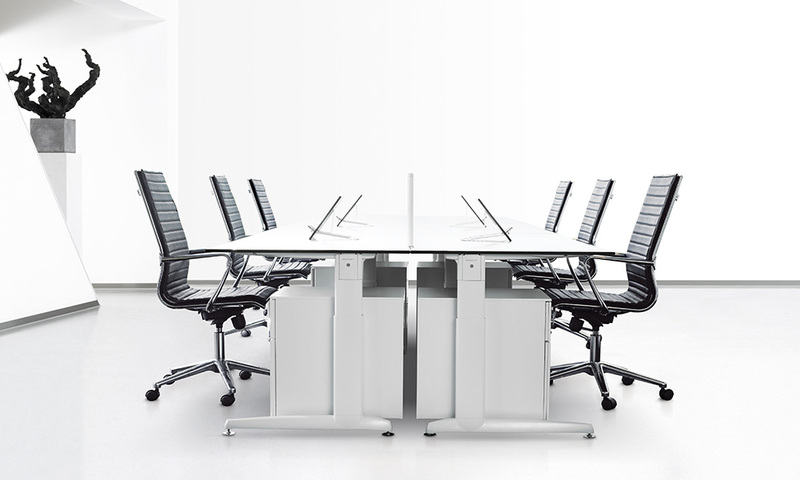 Small Meeting Tables, Large Meeting Tables, Combi Desks and workstations or corner desks. 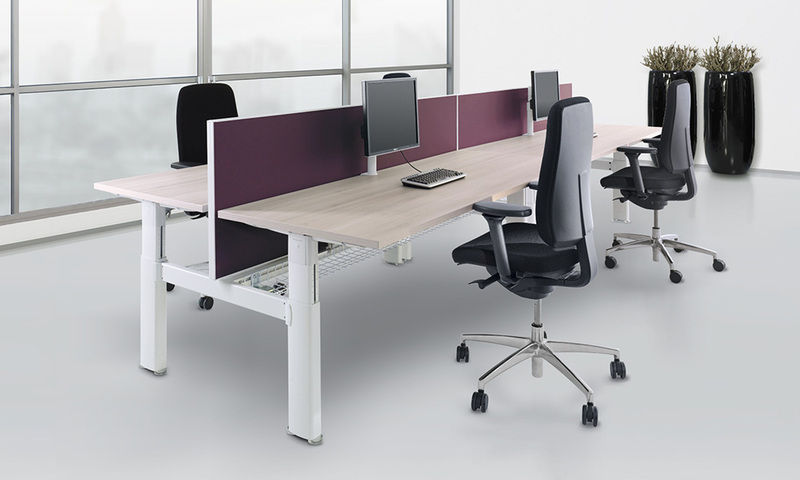 As a standard the Delta is height adjustable from 620mm to 850mm using the unique click mechanism, optional crank height or electric motor available. 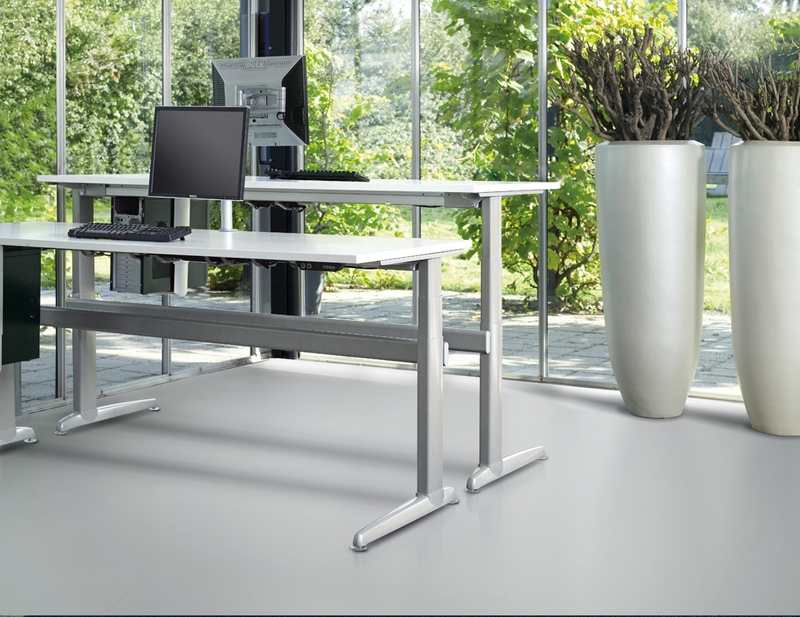 The sit to stand version is adjustable from 620mm to 128mm. Steel frame is standard however an aluminium version is available. Worktops are available in a variety of melamine, HPL or compact laminate options.